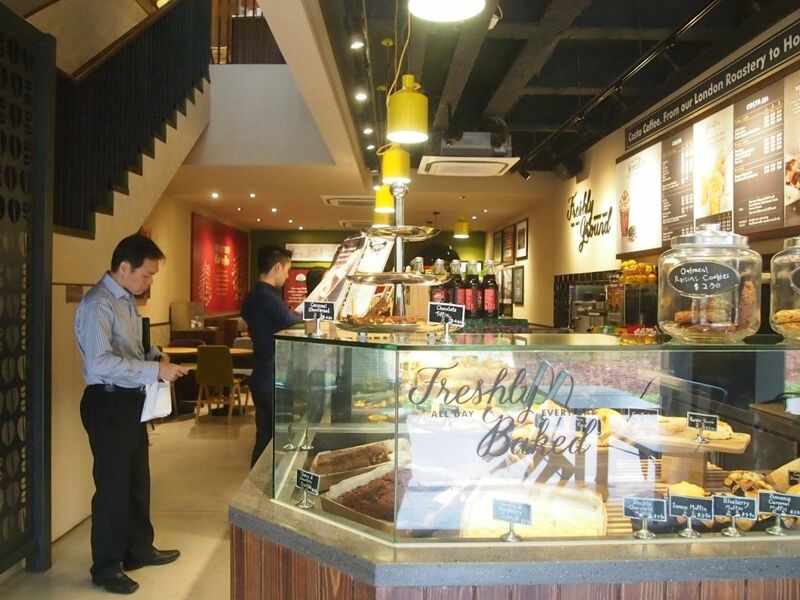 Costa 269, the latest Costa Coffee outlet in Singapore, occupies a prominent spot in Holland Village. Costa269 is the only Costa Coffee outlet in Singapore that has a hot kitchen, and the only one that is serving all-day brunch. 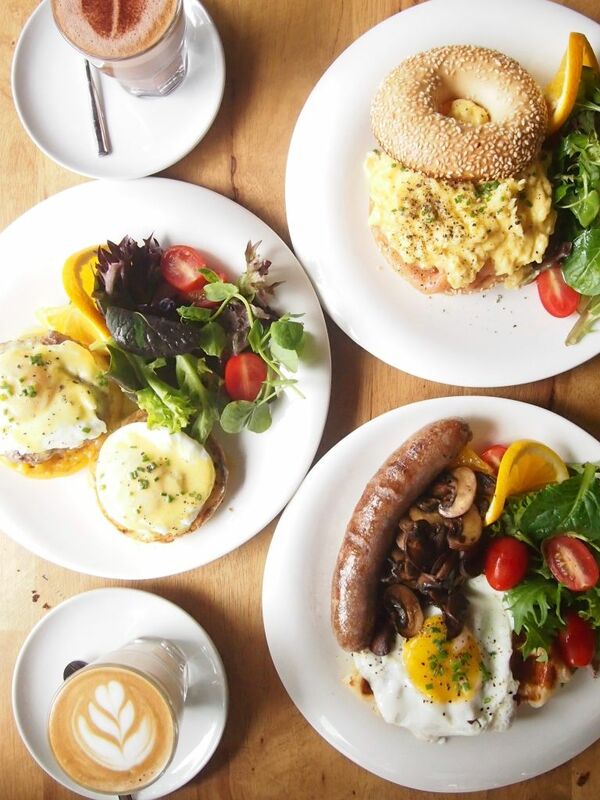 The wholesome brunch menu is just two weeks old, but has already received pretty good reviews. Diners can look forward to classic breakfast favourites, prepared with the freshest ingredients, made fresh-on-demand. If you prefer breakfast with a view, do grab a seat by the windows on the second level. 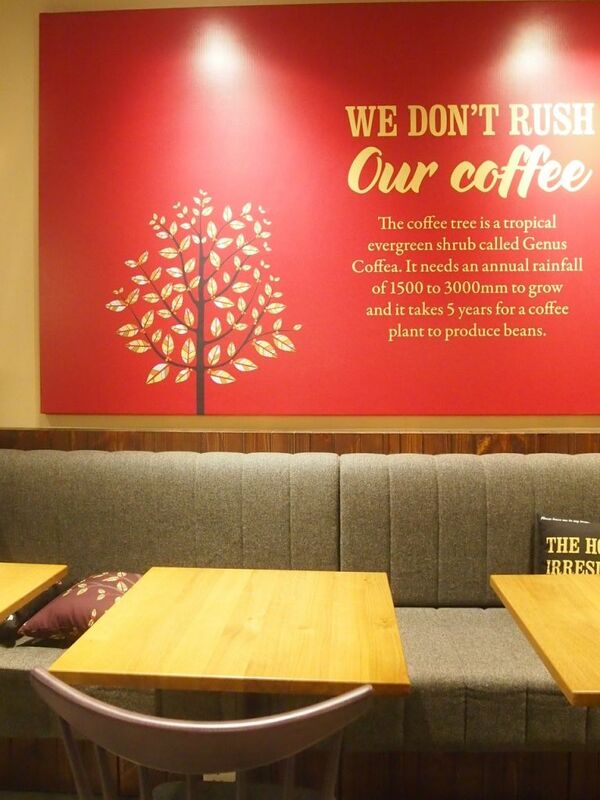 Costa269 is not just another average coffee chain outlet. It is beautifully decorated, with a really cozy and pretty second level, a range of freshly prepared food and also, legit coffee. I don't know about you but ever since the rise of third-wave coffeehouses, I hardly ever go to coffee chains anymore. Every cup of coffee at Costa is different, yet consistent. What I mean is, no one cup is the same because the baristas pull every single shot manually, dictating how long the shot runs. They don't rely on the push of a button or automatic dispensing of coffee. 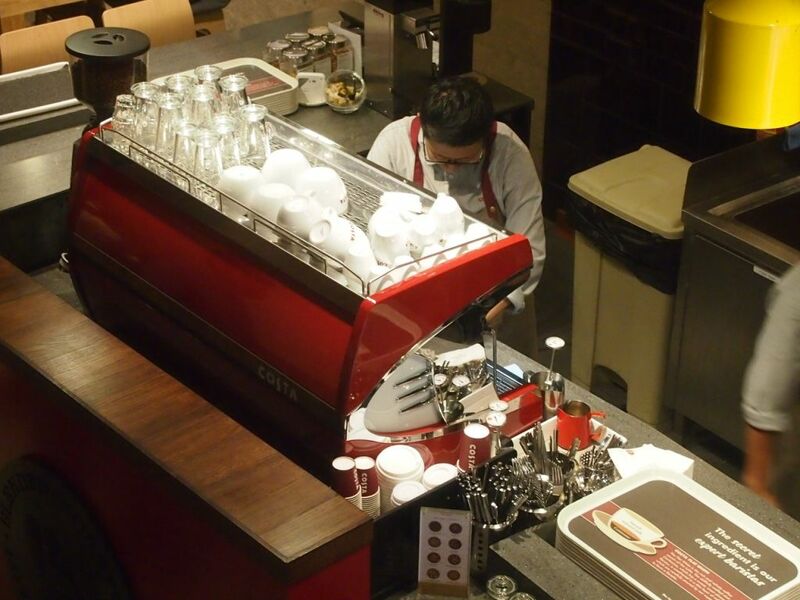 The skillful baristas here make sure every cup of coffee meets the mark. The full-bodied Corto Classic ($4.40) and Corto Mocha ($4.40) were smooth and robust in flavour and is certainly not what you will expect from a coffee chain. The quality of the coffee here is really commendable. The croffle is truly an amazing creation. It is essentially a hybrid of a croissant and a waffle. 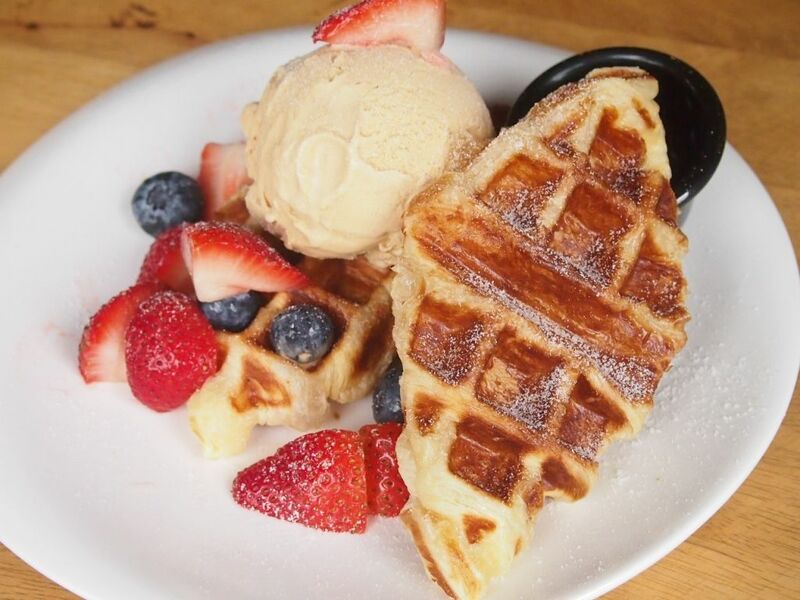 It possesses the many layers, flakiness and buttery fragrance of a croissant and the crispy edges of a waffle. 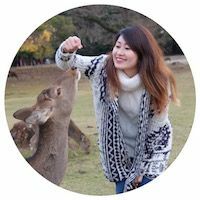 I did have my doubts about it initially, but I was really impressed! 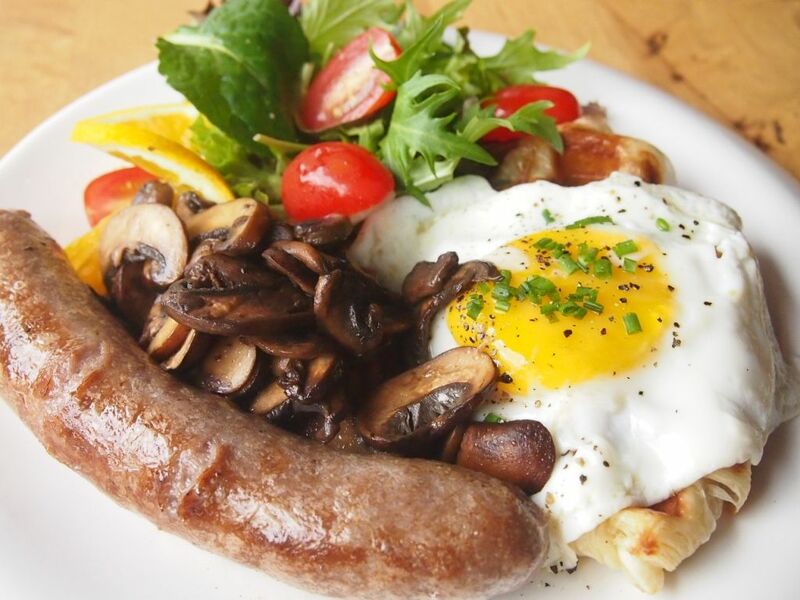 This dish emulates the classic English breakfast with sauteed mushrooms, a glorious sunny side-up and a premium beef sausage made from ground beef, tomatoes and onions. 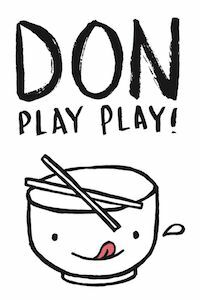 Nothing fancy, just honest goodness. I really enjoyed the beef sausage and croffle! I love bagels and was naturally excited to try this but the whole get-up was not easy to tackle. 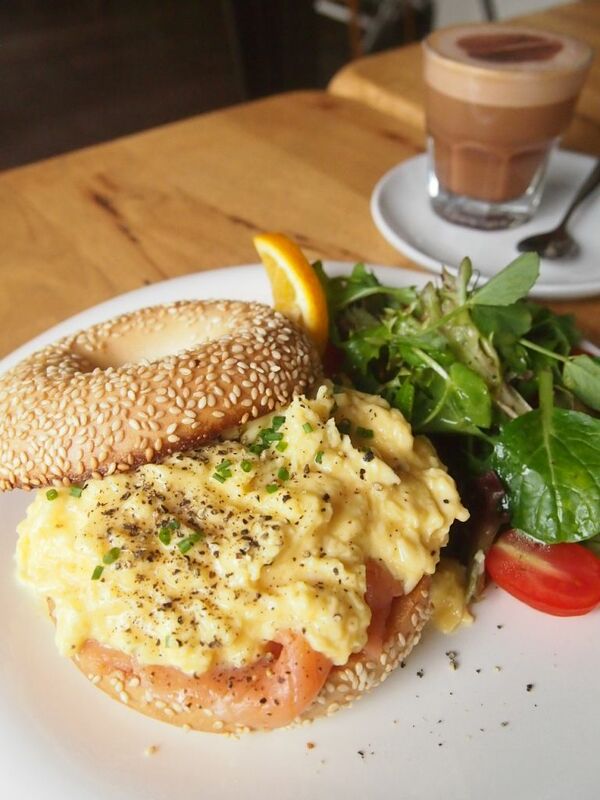 Bagels aren't the easiest to cut or bite into but scrambled eggs and smoked salmon is always a good idea. I cannot decide if I like this or The Great Croffle Fry-up more. 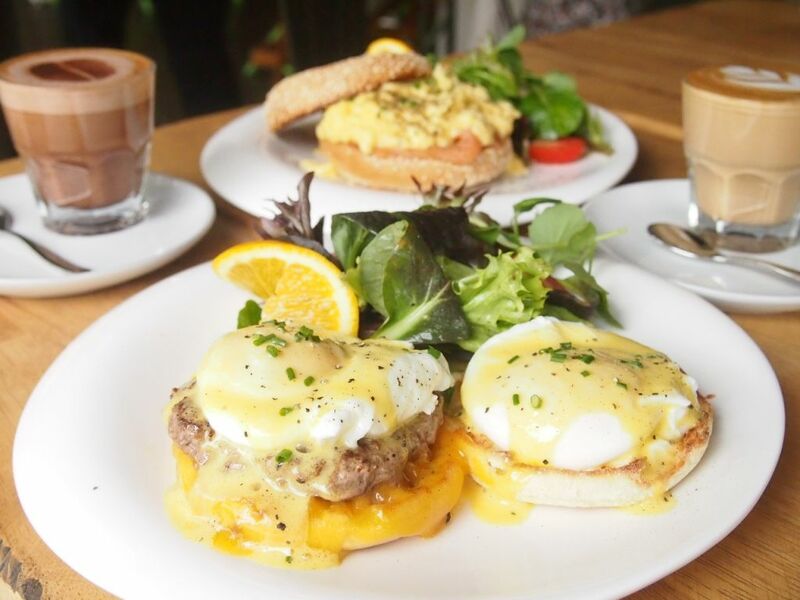 Toasted English muffins, melted cheddar, delicious beef patty, faultless poached eggs and homemade hollandaise. Never would I have thought that a coffee chain outlet can do eggs ben way better than some of the cafes out there. What I really like about Costa is that they focus on doing the simple things well, which is the absolute key to tasty food. The eggs ben will not blow you away with its appearance, nor does it contain some unusual novelty ingredient but it definitely delivers taste-wise. Like I said earlier, nothing fancy, just honest good food. The croffle is cleverly incorporated into both sweet and savory dishes and this sweet rendition is one that you should not miss. Accompanied by a delightful scoop of vanilla, chocolate or salted caramel icecream, the croffles come topped with fresh berries and a side of maple syrup. Drizzle a generous helping of maple syrup over the piping hot croffles and you're in for a treat! 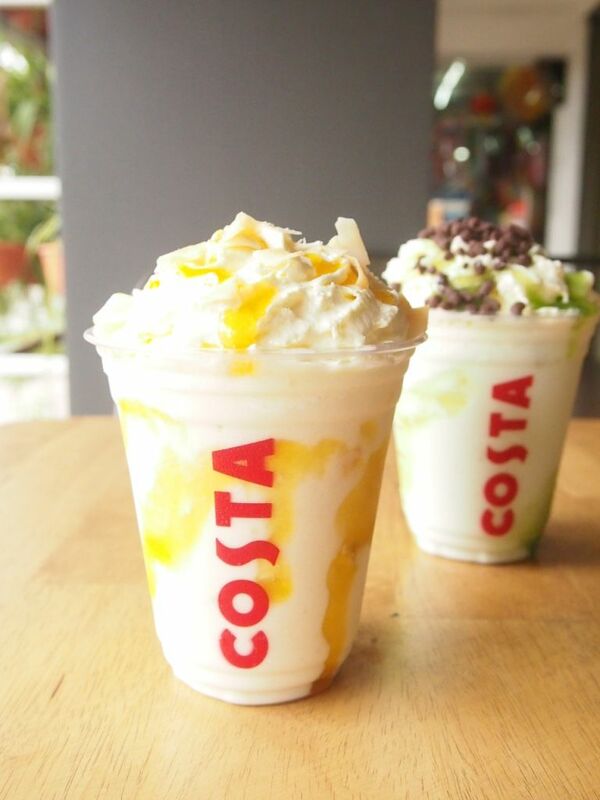 Beat the heat with Costa Coffee's one-for-one promotion on their Frostinos! This offer is available at all outlets and I'll strongly suggest going for the thick and rich mango coconut frostino with almond bits. I go to Holland Village alot and I've tried all the coffee available in the area but haven't encountered one that I would return for so you have no idea how glad I am to find out that Costa has really decent coffee! I'll be back for those croffles too!